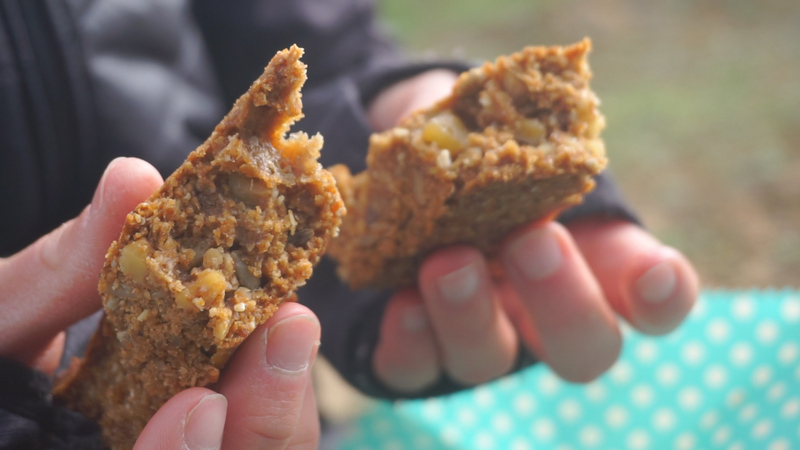 These easy vegan snack bars are the perfect hiking food, and are even great as a breakfast bar. Take some with you on an outdoor adventure like a hike, a beach day or camping trip. They travel well and don’t crumble as much as other vegan snacks that we’ve made in the past. So even if you’re just going for a road trip, they make for an ‘easy to grab’ bite to eat on the go. 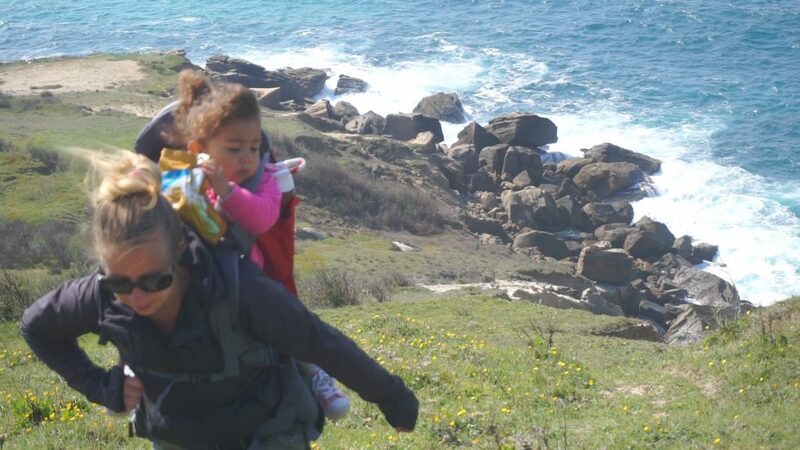 We Took These Out Hiking With Our Toddler And Are Child Approved! To make the snack bars combine all the dry ingredients in a large bowl & stir together thoroughly. Next add in the Oil & Apple juice, mix together really well. Next pour the mixture into a non stick baking tin and press down firmly. Cook for 30 minutes at 170 degrees, until nicely browned. Once out of the oven, let the loaf cool for 10-10 minutes then tip out of the tin to cut into slices. We have several ‘go to’ foods that we like to make for our hikes and road trips, but to date these are the easiest to transport. 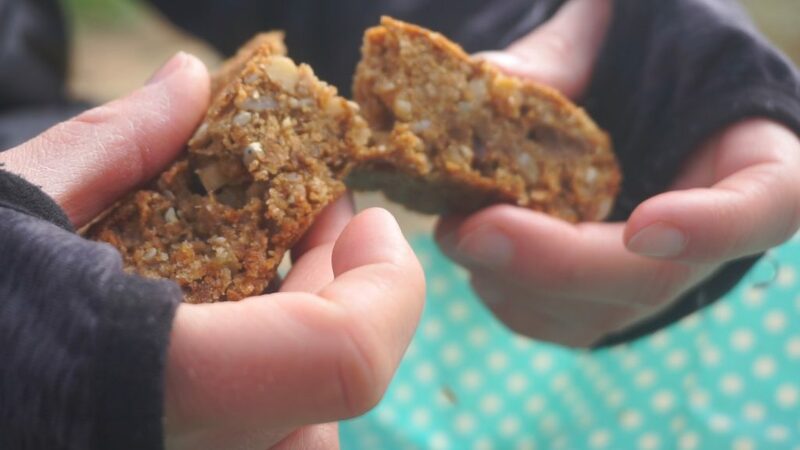 They are really satisfying and wholesome with all the nuts, seeds and flax in there as well. You won’t be left hungry with a couple of these in your tummy! Check out our other easy vegan hiking snack foods too. We like to make our own Homemade Houmous to dip tasty vegetables in, and even a fancy Parsley Vegan Pesto that we spread into crusty bread and enjoy on our walks and adventures. 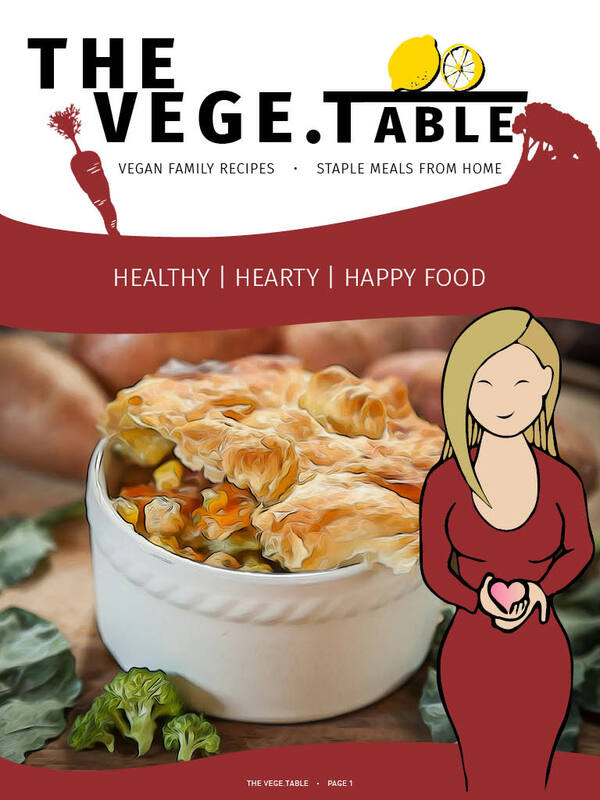 Enjoy Baking and don’t forget to grab our FREE Family Recipe Book ‘The Vege.Table’ by entering your email in our little light box below or ribbon above.